SEO covers many website elements ie. content, keywords, code, metatags, competition, traffic monitoring. Executing SEO process is very time consuming and needs lots of effort. Here are some SEO tools that can make your job easier and more efficient. Keyword Research Tool: Researching keywords is the most prominent activity in SEO. Ranking on good keywords can make your site more popular and successful in terms of traffic and business. 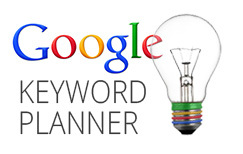 For keyword research I recommend Google Keyword Planner. With Keyword Planner you can get search volume for a list of keywords and group them into ad groups. Google Analytics : Google Analytics helps to measure online success and popularity of your website. With this free tool you can track your website visitors activity and their engagement with your website. With behaviour report you can understand which pages user engages the most. Conversion tracking is the most beneficial feature of Google Analytics. Google Webmasters : Google Webmasters is another free tool powered by Google. There are many benefits of registering your website with Google Webmasters. In search section you can get the list of keywords users searched for when they land on your website, number of impression and number of clicks. You can get the list of crawl errors that Google bot captured while crawling your site. Submitting Sitemap and robots.txt file is another beneficial function of Google Webmasters. Google Trends : Google Trends is a free tool that shows trending topics on Google Search. Google explains that, “Google Trends gives you a glimpse into the topics the world is searching for.” “Hot Searches” and “Top Charts” are useful features. Hot Searches lists the top searches by day. Top Charts includes the most popular searches in Google by categories that are updated monthly. Xenu : Xenu is a free download tool that runs on all version of windows. It finds broken links on your site. Also generate sitemap and find 302 redirects on your site. Xml Sitemap Generator: Xml-Sitemaps.com is sitemap generator tool that build website sitemap online. You can get it done in simple steps. Just enter your website url and press start button. You will be redirected to the generated sitemap including website pages and broken links. Download this file and place it on your domain root folder of your website. Now open Google Webmasters ad submit your sitemap url. Copyscape : Copyscape is an online tool that is used to check if the content is original. This tool was launched in 2004 by Indigo Stream Technologies, Ltd. Page Rank Checker : It is free tool used to check your website page rank. Just enter your URL and you can know your website pagerank.